What makes a mother grand? Is it simply the birth of her children's children? Technically speaking that's all it takes. Should a grandmother live to see her grandchildren's off spring she will be promoted again to great. These titles are descriptive of position not person. Yet many grandmothers are grand individuals. My grandma, Irene, certainly lived up to this designation. 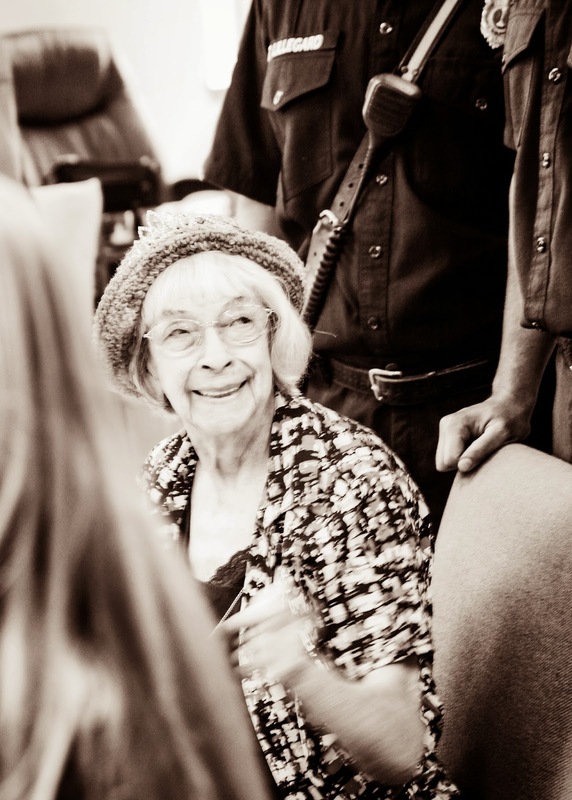 Transplanted from East Hartford, Connecticut to the small town of North Plains, Oregon at the age of eighty eight, Irene knew how to bloom where she was planted. She embraced her new neighbors with open arms. 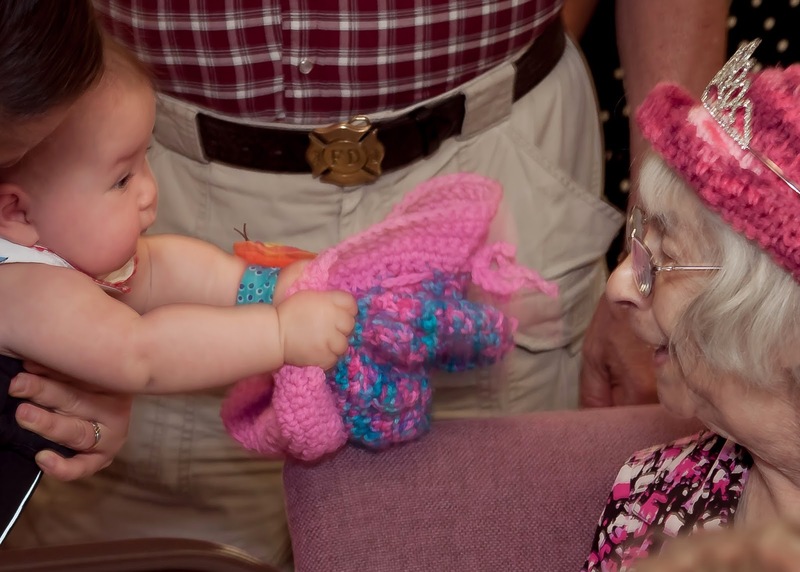 She loved them by taking time to learn about them and generously distributed hugs and kisses. In return the community open it's heart claiming her as their own. 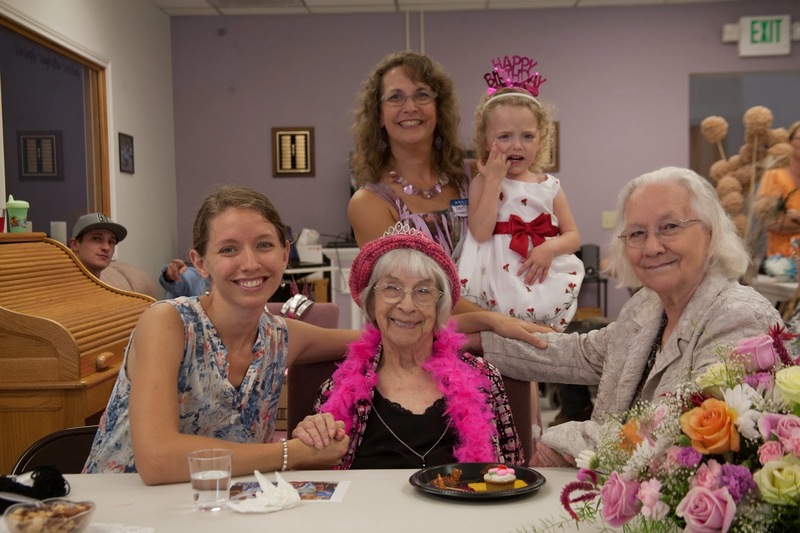 So hushed in the quiet Sunday clam a surprise celebration unfolded at the North Plains Senior Center where Irene had volunteered for the past decade. 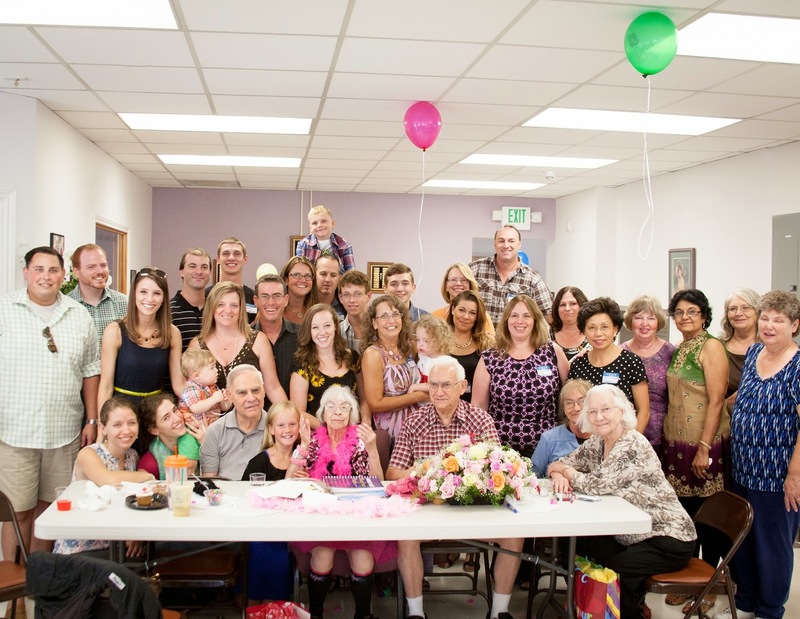 My Grandma knew the family was coming to celebrate her birthday but she had no idea how big the party would be. Over a hundred well wishers of all ages along with five generations of family from all over the country gathered to sing, dance and eat cake with my grandma that day. I'm so thankful we were able to take this five generation picture. My daughter Rachel O'Neill along with her family traveled all the way from Pennsylvania for the event. In the center of the photo is G.G. Irene a great great grandmother! On the right her daughter, my mom, Janet Donaldson. Rachel is on the left. I'm holding my grand daughter Saoirse in the back. Irene greets a young guest. In the baby's hand a hat crocheted by Irene. Irene at eighty eight made new friends, Here she greets one of her new old friends. Her Kisses; When I was five my mother and I lived with her for a few months while my dad went to Officer Training School at the Navy base in Rhode Island. Every morning on her way out the door Irene would blot her lipstick by planting a kiss on my cheek. Apparently she had done this to her children when they were young too, an appalling habit in my mother's opinion. I on the other hand would run to the mirror and marvel at the mark of love. The whole world could see my grandma loved me! I treasure each kiss she's given me over the fifty three years of my life. Those without lipstick have marked my heart as powerfully as the others marked my face. Her Touch; She never just talked from a distance. She would snuggle up to you, pull you in. I watched her with strangers reaching out to hold their hands as she praised them for helping her or taking time to be with her. Her hands warm and gentle impressed my soul with the power of touch. Her Sweet Treats; Skipping into the dinner in the G. Foxes department store and plopping my bottom onto a swiveling stool at the counter proved almost treat enough to my five year old mind. Then my Grandma who worked as a waitress there came up to take my order. I didn't know what to get. So she told me she would make me a surprise; my first ever strawberry sundae! YUM! It's still one of my favorite treats. Last month as I helped move her out of her apartment into adult foster care I helped my self to the candy corn in a jar on her table. I'm sure I got my sweet tooth from her. I just hope I grow to have her sweet disposition as well. Her Praise; Irene was a builder. She never built a building but she built a family. 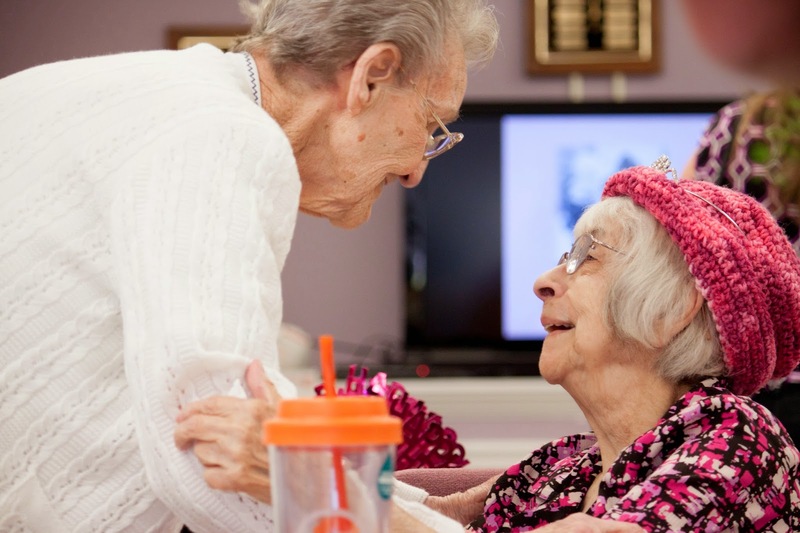 She built a new community for herself late in life. She built them both by building up people. She never failed to give genuine praise. Her criticism was always constructive. She found success in helping others succeed. Her Colorful Character; From spring blossoms to fall leaves Irene enjoyed the colors God painted in the world. She loved God and the life He gave her. She treasured her French heritage and spoke the colorful language fluently. From the red beret she gave me when I was five to hot pink hat she donned on her birthday, her wardrobe colored the world she lived in. 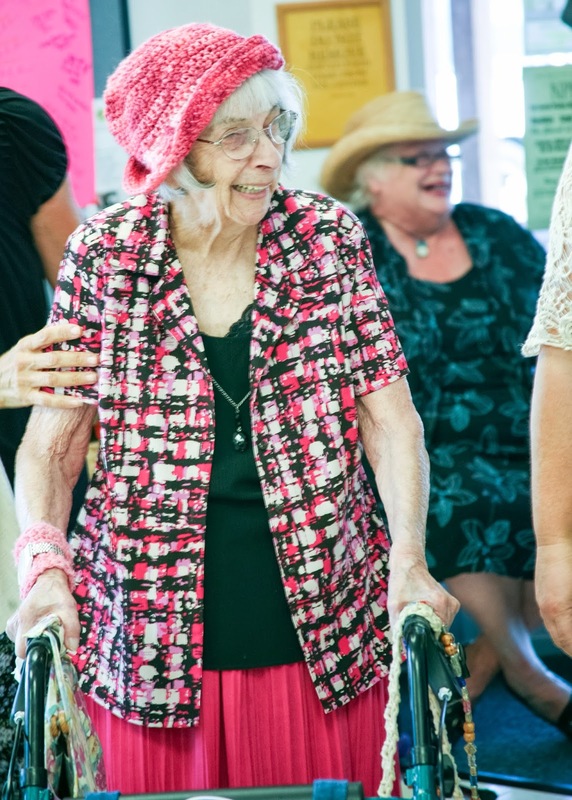 The last decade of her life she walked through North Plains displaying a colorful collection of knee socks, most gifts from friends and neighbors. The sock she wore paled in comparison to her colorful presence. Last Saturday, April 11, 2015. my Grandma left her worn out frame and entered eternity. She lived as long as she was alive. Hers is a life worth celebrating! 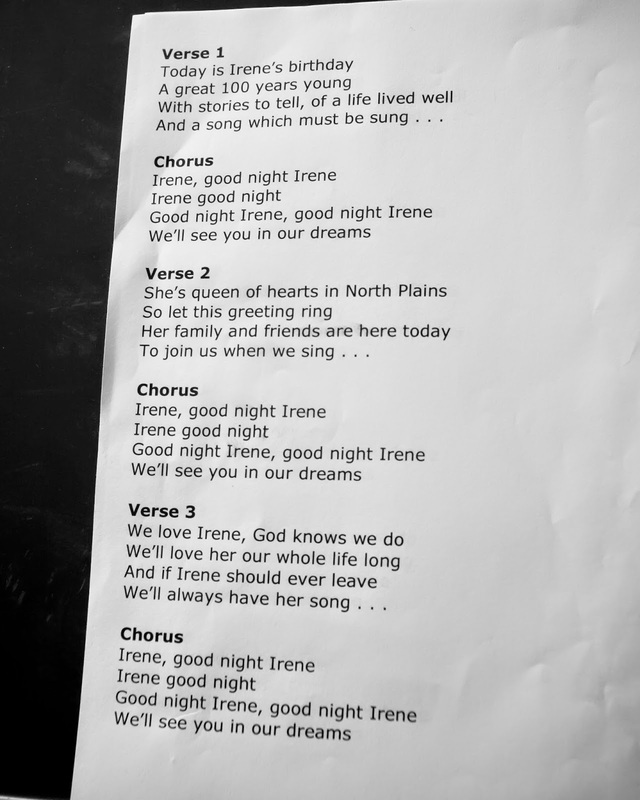 Good night, Irene. I'll see you in my dreams. If we were sitting in my kitchen, clutching warm mugs of our favorite hot wets (mine would be Earl Grey), you may notice a special magnet decorates the side of my fridge; a gift from my daughter, Rachel. It sports the art of Laini Taylor; a collage of a pretty lady dressed in sunset shades carried by monarch wings and a quote across her skirt. “A dream is just a dream. A goal is a dream with a plan and a dead line,” Harvey Mackay. This quote has become my challenge. I spend lots of time day dreaming of lofty accomplishments. The skills of goal setting, planning, and deadlines do not come as easily. To be honest, few of my daydreams would merit such effort for example; owning an NFL team just so I could require players to be good role models. Others are purely selfish, like wanting to learn to surf. One day I watched two hours of surfing lessons on youtube and broke my ironing board practicing. Then on vacation I actually planned to go take my first lesson but never did because my vacation ended abruptly with a family emergency. I think God was trying to tell me something. 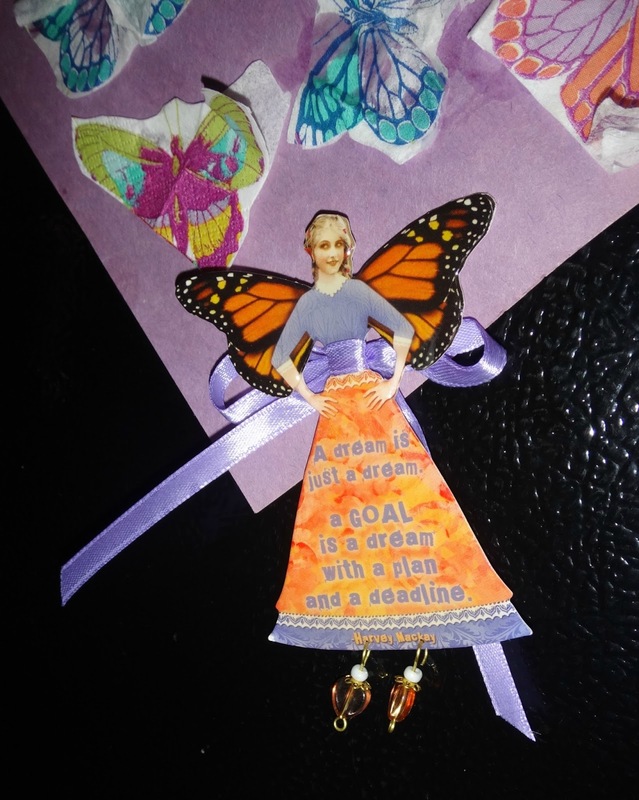 The Mackay’s quote on my magnet became my plan giving me three steps to realize a dream. · 1st have a Goal- It must be something attainable and measurable. For me it’s writing for publication. Do you have a dream that needs to be a goal? · 2nd make a Plan- “Failing to plan is planning to fail” (unknown) Planning backwards is a proven strategy. Like before I can get a book published I need to write it, before I write it I need to organize my thoughts, before I organize my thoughts I need to know what it will be about, and so on. This plan results in the steps necessary to attain the goal. · 3rd set a Deadline-ACCOUNTABILITY is king when it comes to deadlines. In order to have accountability, I meet weekly with another writer. We set weekly goals. So come Friday when we get together, I know what needs to be done. Are you a dreamer like me? Do you need to turn your dream into a goal? Join me. We may try and fail but that’s better than failing to try! TNT (Tapestry and Thanksgiving); Powerful Stuff! If you have a sharp eye for color you may have noticed the table cloth pictured in my header and the scarf I’m wearing in my profile picture are one in the same. My husband, Bill, sent me this gift during his deployment in Afghanistan. He chose well don’t you think? The myriad of colorful threads woven into various shades and patterns provide a grand illustration of friendships. Both gifts, the scarf and friendships, fill my heart with gratitude. Yet, gratitude unexpressed is like a tea pot never poured; it serves nobody. I thanked my husband for this scarf and now it’s time to pour out my gratitude to those who’s stories have intertwined with mine. The apostle Paul begins many of his letters in the Bible pouring out his gratitude both to God and those who have fellowship with him in the gospel, a fact that puts me in good company as I make this first post. My story is not simply mine nor is yours just yours. God weaves us in our mother’s womb and if we let Him He will take our history and weave it into HIS story. I thank God for doing just that with my life back in 1981. By the time I was twenty the tapestry that was my life was a tattered mess. He took the rag of dark threads, woven in a fallen world and frayed by my own rebellion, and repurposed it for my good and His glory. He began weaving the brilliantly colored threads of fellow saints; forever friends in the forever life He gave me. This Sunday being Easter seems the perfect time to thank Him for that new life, His resurrection life and His church, my forever family. Thank YOU Father for making me new and weaving wonderful people in my life! I thank God for the saints of Temple Baptist Church, First Baptist of University Place (both in Tacoma, WA), EastGate Baptsit in Bellvue,Wa and Grace Baptist in Coralville,IA. You nurtured me in my spiritual infancy. You feed me the milk of God’s Word and gave me a craving for meat; the deeper truths of the Bible. I found my husband in your fellowship and grieved the loss of my stillborn child with you. Your love, an extension of God’s, sustained me and embraced my broken soul restoring it to vitality. I’m thankful to the women who attended Meadowood Baptist church from 1886-1998. For twelve years our stories shuttled across God’s loom and a few of you remain actively intertwined with me until now. You taught me to be your pastor’s wife. We learned to be mommies together. You extended grace to me, constantly giving and forgiving. Thank you! 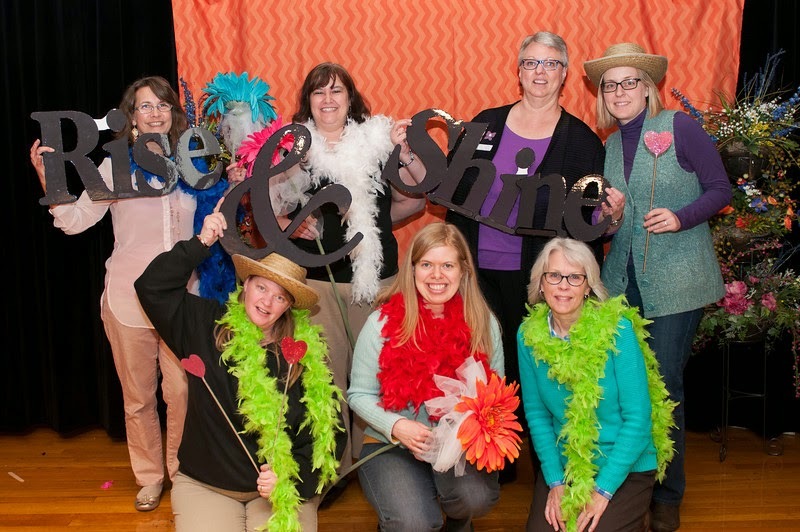 I give thanks to the sisters who were part of Community Baptist Church of Hillsboro, OR from 1999-2009. We entered a new millennium together. We raised teenagers. We started home businesses and watched our nests begin to empty; our children marry and move away. We studied, prayed, and retreated together. Together we looked forward to our grand promotions as our children began having children. You have blessed me beyond measure, thank you! Next to my dear sisters of Grace Baptist in Manhattan, KS, thank you for your open arm welcome. It is a privilege to serve with you. I have enjoyed this past couple years of not knowing where we’re going as Bill began as your interim pastor then deployed as a Navy chaplain to Afgahnistan. You took great care of me in Bill’s absence. Now we know God is keeping us here together for a while and you are doing a fabulous job of helping me bloom where I’ve been transplanted. You are upholding me on this new endeavor of writing for which I am most grateful, thank you!